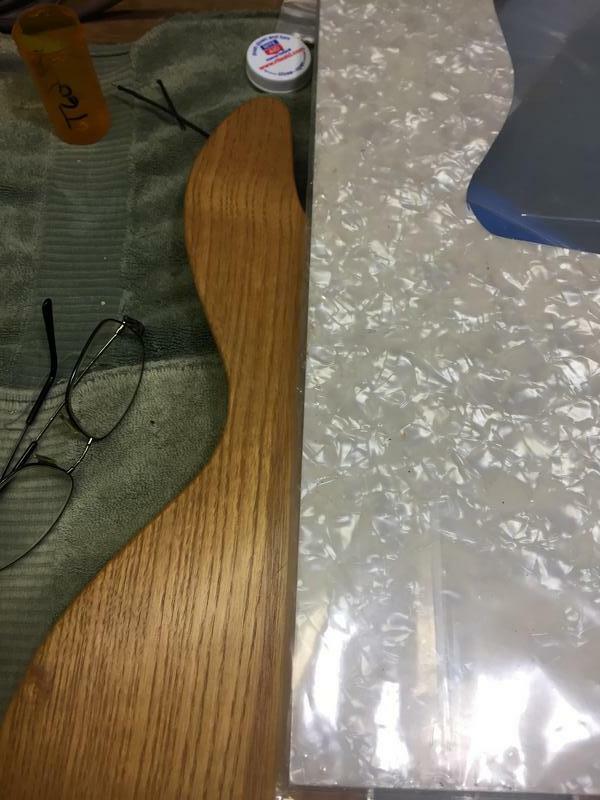 I was going through the shop today and came across this body. It's in really good shape! It's a contoured body from 81. I remember putting it up a couple years ago. 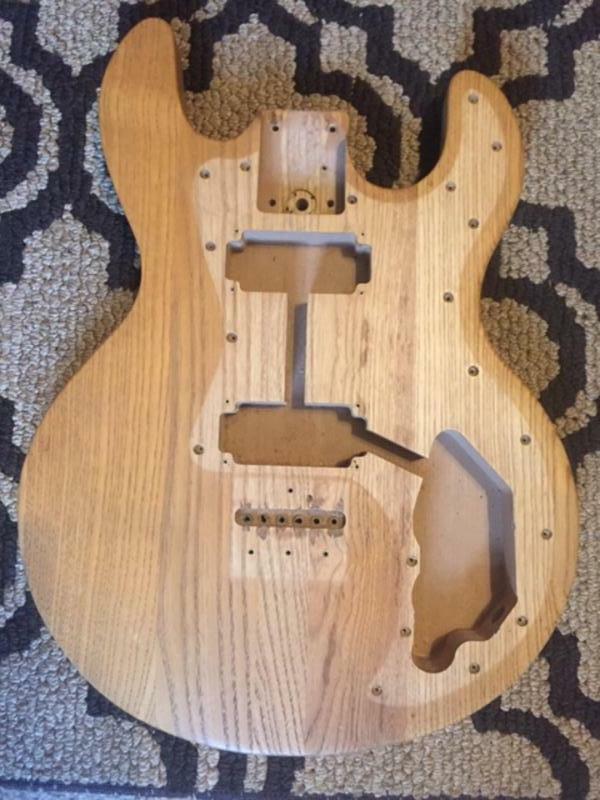 At the time I wanted to build another T60 thinline but needed a slab body and sadly did not have one. I'd like to do another thinline. If anyone has a slab body they would like to part with, send me a message. Anyway...The question still remains, what to do with this one. I have the original PG with controls but no pickups. I have the jack and the neck plate. I have a T60 neck that I signed by Chip but as a player, the neck is a bit thin for my liking. A nice fat tele style neck, which I have, would be good. I also have any number of pickups that would be good choices as well. Any thoughts? 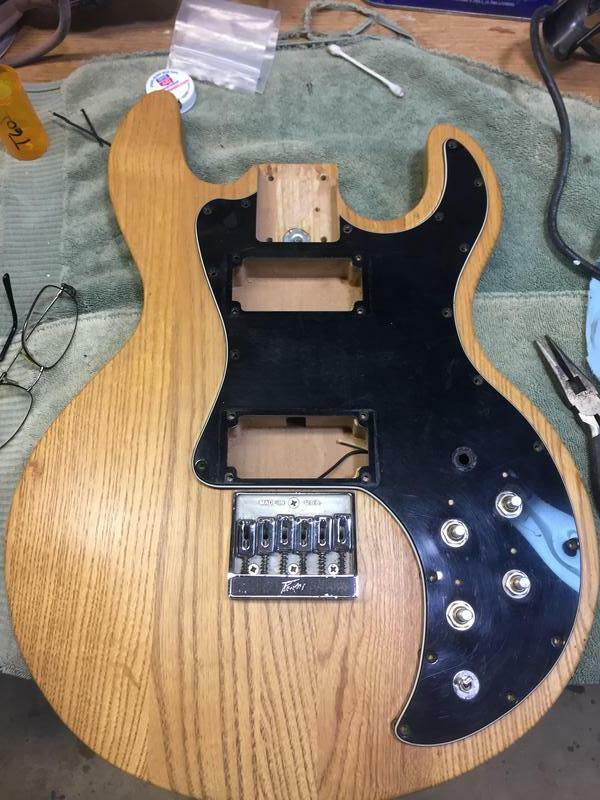 If you were building a T60 style guitar and could do it it any way you want...How would you do it? Looking forward to seeing what people come up with. you're not getting much help! I'm trying to think of an interesting challenge for you, maybe not something new but something that could be done better? I was thinking more, fix it up nice and proud then give it to me, but I didn't think that was what you had in mind. Well I was a little bored today so I decided to start putting this one together. 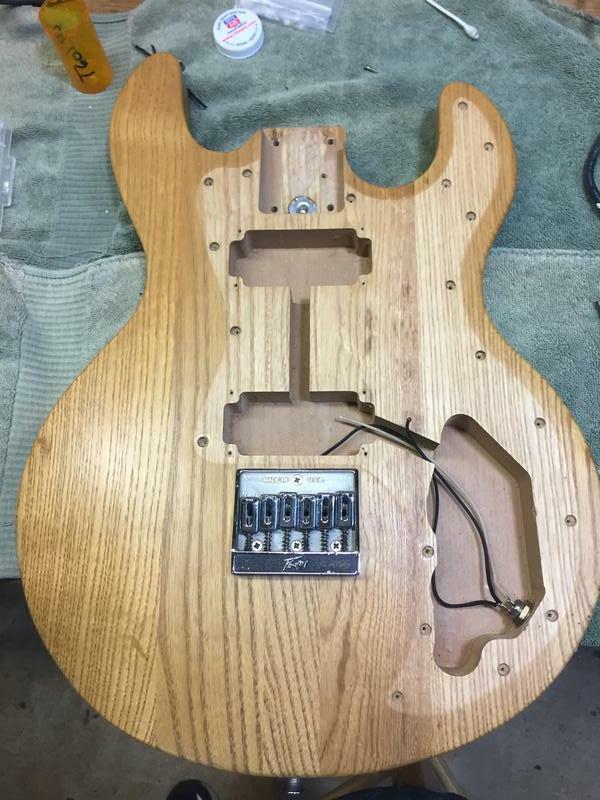 The Tele style project is coming along great and is in the finish stage. It was warm here last week so I got several coats of clear on. It still needs a few more but its almost done. I dug around in my parts stash and found most everything I need to finish this one. All that is lacking is a set of T60 pickups. 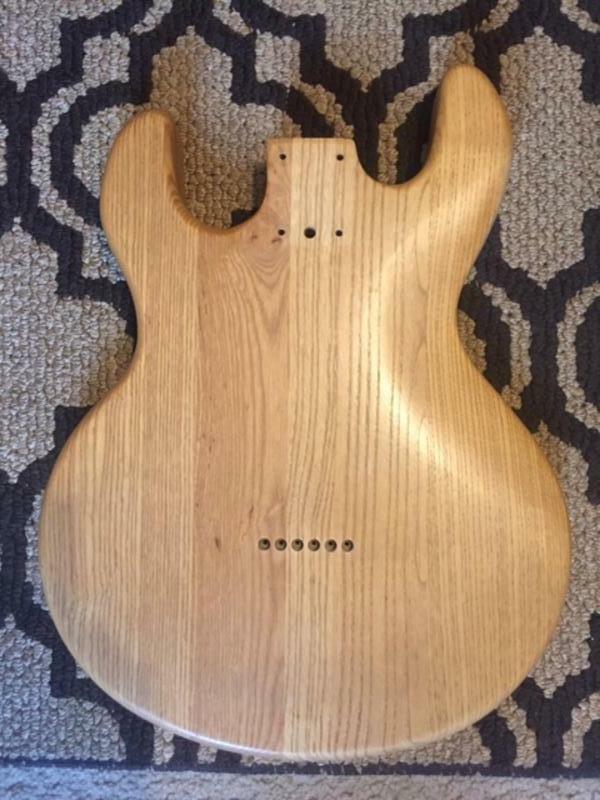 I have a T60 neck but I'm not sure I will use it for this. It's likely that I will use a nice rosewood tele neck. Nothing special going on here on the modification side. I have to make a set of pickups rings which isn't a big deal. I'm not sure If I will put a set of Bill Lawrence pickups in it or an old set of Gibson pickups that I have. Probably leaning towards the Lawrence. I'm on the fence about the PG. I can use the traditional black or make a new one in either aged pearl or maybe cream. We'll see how ambitious I get.